New restaurant with attached porch and parking spaces. Building proposed to be entirely within the EG2 zone. Early assistance to discuss a historic review for a new 6-story mixed-use building with underground parking proposed. Proposal is to change use of current A2 and B occupancy to R1 for transient residential on upper floors. Project will include seismic upgrade, new elevator, restrooms on each floor and new fire protected stair cores and street lobby. 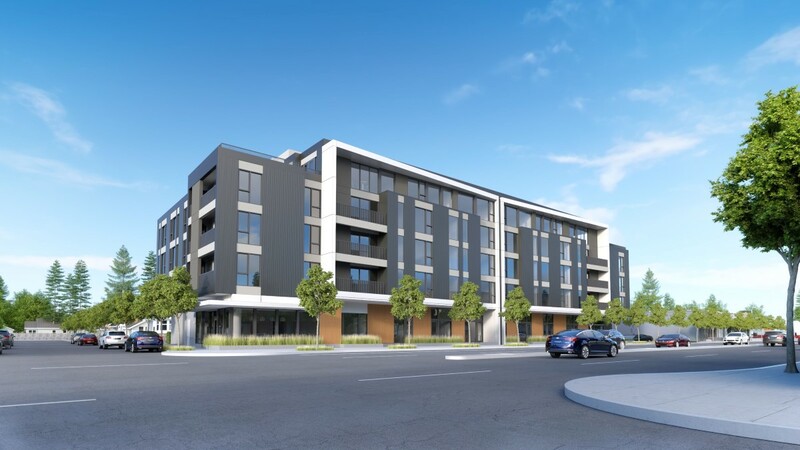 New 65-unit apartment building with underground parking. 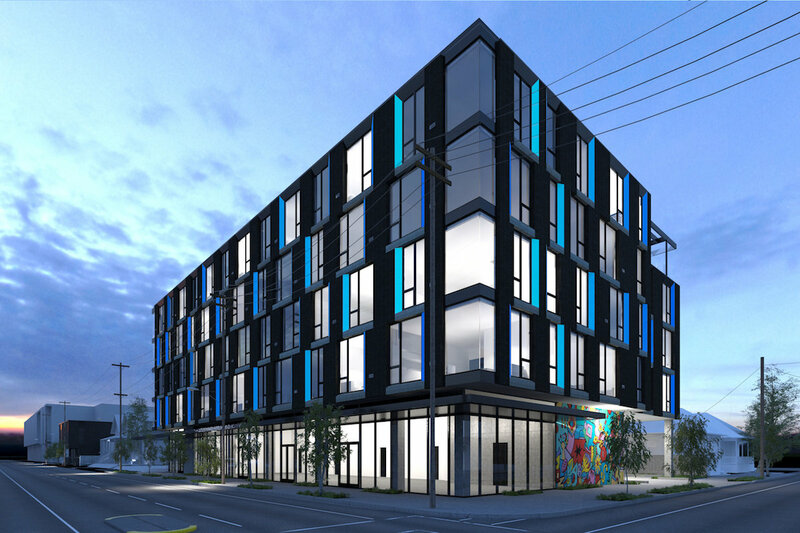 New mixed-use building with 110 residential units and ground floor commercial space. The new development will include on-site parking. 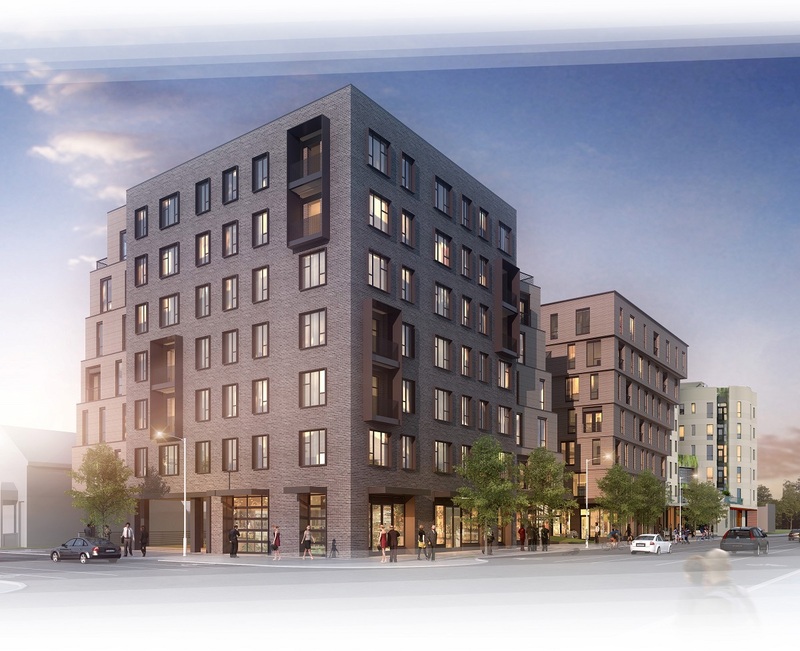 New 4-story wood-framed multi-unit housing with 64 units and a community space. Working with the PHB. This post originally included an image of Strata, as presented to the Design Commission in November. It has been updated to include an image of the current design.